My (late) new year hair resolution.. Okay I know that new year was well and truly ages ago, it’s now February, which actually reminds me I need to turn my Cheryl calender over. Let’s see what the naughty minx is up to this month. However in the month of January I made a few new year resolutions, as you do. One of them was to get abs.. I can report that hasn’t taken off the ground yet but I promise as soon as I book a holiday, I’ll be back doing the 100 sit ups and 30 day shred. However a more attainable resolution to marry Harry Styles was to use less heat on my hair. Hmmm actually now I think about it, the abs one looks more likely. You all know, I love my hair tools. But funnily enough, or should I say coincidentally enough Cloud Nine got in touch with me, who are also urging woman to be kinder to their hair by using less heat.. which is quite strange from a heated hair tool company. They know though that using too much heat can be badddd for your hair. So they’ve teamed together with some top hair stylists, to show innovative ways that you don’t need to use heat on your hair. So Cloud Nine sent me their Waving Wand to have a play with, and I felt pretty inspired with this whole no heat thing. So Cloud Nine have a theory, to have a Style Day ( where you use your heated hair tool) and a Hair Kind Day where you use no tools, you just work with what you’ve got. So with the waving wand, I’ve been feeling very inspired by a blast from the past in my hair icons.. Lauren Conrad. A couple of weeks ago, I caught up on the last couple of seasons of The Hills (only two years too late) and found myself fawning over LC like I was 17 again. I remembered why I loved her so much, her clothes, her make up and her hair. She never gets it wrong, well I say never, those denim pedal pushers she wore a lot in season one were a bit of a mistake. Sorry Loz. However her hair is always perfection, effortless waves and pretty braids. What’s not to love? Armed with my Cloud Nine Waving Wand* I was ready to give Miss Conrad a run for her money. The wand is super easy to use, there’s a variety of heat settings, you wrap the hair around the wand, leave for a few seconds and then voila. Wavy gravy. I love the effect it gives, it makes your hair look like you’ve just woken up like that but also being preened to perfection at the same time! To save my hair from the heat, I’ve mixed it up with braids ala Lauren Conrad and even managed to go a couple of days without heat by doing a fishtail braid. 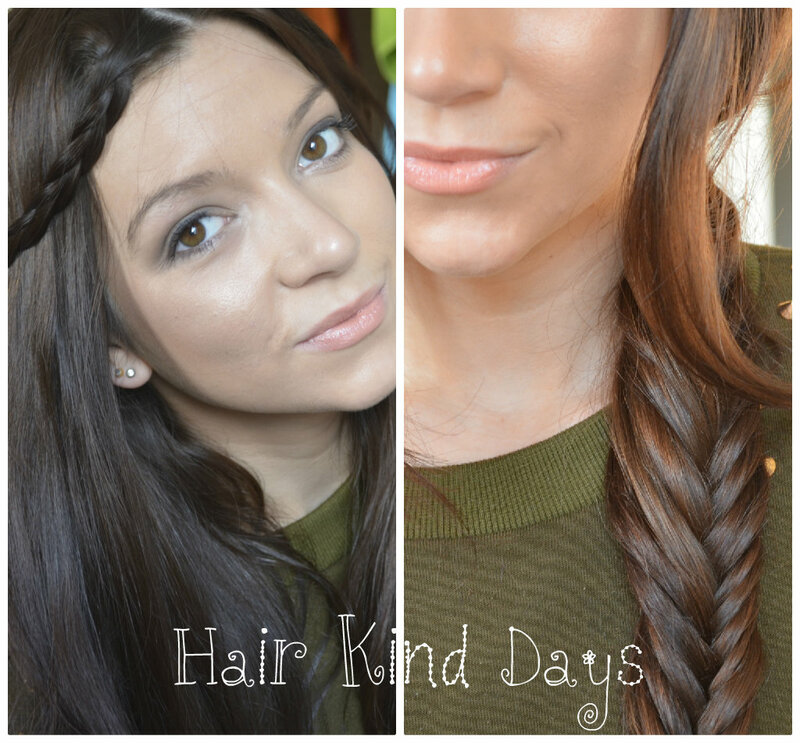 Day old waves make the perfect texture for a messy beachy fishtail look! There is of course a plethora of looks I could try, maybe I could brave the ballerina bun one day or a half up down do which is already a favourite of mine! So I hope to continue the rest of the year being a little kinder to my hair, are you going to join me in using less heat? You can get the Cloud Nine Waving Wand from salons nationwide or on their website.